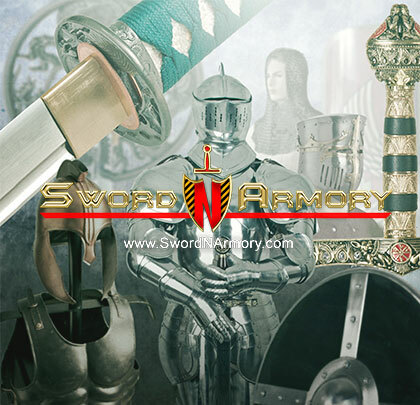 Our 30” Anodized Ninja Fantasy Sword is made of a single piece of tempered 440 stainless steel. It’s lightweight, yet strong and sharp for slashing and chopping. It comes with a pair of 5” throwing knives. You can carry your sword in the nylon machete style sheath which has a throwing knife pouch and an adjustable shoulder strap.